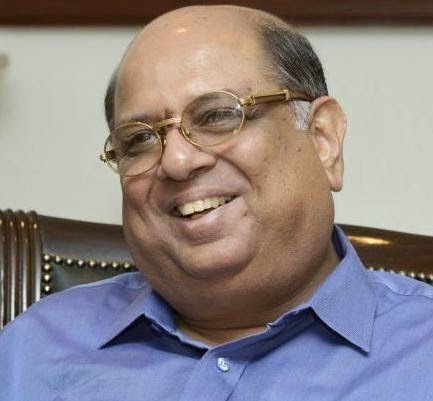 N. Ramachandran elected as new Indian Olympic Association (IOA) President today after 14 months of suspension by the International Olympic Committee (IOC). The election of 65-year-old Ramachandran, chief of World Squash Federation and younger brother of BCCI boss N Srinivasan, as IOA president was a mere formality as he was the lone candidate in the fray for the top post. Kho-Kho Federation of India President Rajeev Mehta and All India Tennis Association (AITA) chief Anil Khanna were also elected unopposed as Secretary General and Treasurer respectively in the polls which marked the exit of corruption-tainted Abhay Singh Chautala and Lalit Bhanot from the IOA. Ramachandran, who made an unsuccessful bid last year to get squash into the Olympic Games, served as the IOA treasurer from 2008 to 2012 and has been president of the World Squash Federation since 2008. The International Olympic Committee (IOC) froze India's membership in December 2012 and suspended it from the Games movement when the IOA elected a number of tainted officials to key posts. The officials in the row included secretary-general Lalit Bhanot, who is currently out on bail on corruption charges linked to the chaotic 2010 Commonwealth Games in New Delhi. The IOA, after initially refusing to keep tainted officials out, finally accepted an IOC diktat last December to revise its constitution and elect "clean" office-bearers in fresh elections. Representatives from the IOC were present at Sunday's elections, but it was unclear when India's ban will be lifted.